Study after study shows that when done correctly, content marketing offers a much higher ROI than paid ads. This is why 88 percent of businesses use content marketing to generate leads and drive sales. 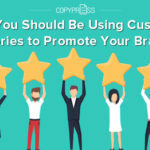 The problem that many companies face is not that they don’t understand the value of content marketing, but rather they don’t know how to create posts that stand out among the millions of other pieces of content published online every day. The truth is that effective content marketing is not as easy as just posting some blogs on your website throughout the year. Instead, content marketing requires a comprehensive strategy and an understanding of how to create powerful blog posts. Here’s a look at 10 important factors you should keep in mind if you want to create content that gets noticed. There is much debate among content marketing experts as to the perfect length for a blog post. Some experts argue that longer posts (1,000-2,000 words) generate the best results, while others believe that shorter blogs (400-600 words) hold the reader’s attention just long enough to take action. Results vary from campaign to campaign, but one thing is for certain — do not create a longer blog just for the sake of making it longer. If you can say what you need to in 500 words, yet stretch it out to 1,000 words just for the sake of making it longer, you are more likely to lose your audience before they ever get to your call-to-action. The most important thing is to consider the subject matter of the content and then determine how much space you need to properly explain it. 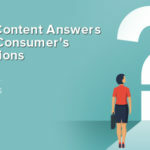 The most important question to ask yourself when creating content is “Does it provide real value to the reader?” There are many ways to provide value to the reader, such as offering a solution to a problem, explaining a complex issue, providing advice or entertainment, offering news stories, giving instructions, and more. Developing high-level content can portray your company as a thought leader in the industry, enhance customer engagement, improve conversion rates, and boost the company’s overall reputation. Studies show that 65 percent of the population are visual learners. This accounts for nearly two-thirds of your entire audience. If you want to create content that really grabs the reader’s attention and encourages action, it’s important to not just have the right words but to also include visual content. This includes all types of graphics and video content. In almost all cases, visual content can help get your point across to the reader. For example. if you are creating step-by-step content, corresponding pictures or video can help the reader better understand your instructions. Designing an infographic when creating content can help generate more attention to your post. An infographic allows you to display a large amount of information, data, or statistics in an easy-to-read format. When done right, an infographic can tell your story more effectively than any other medium. In fact, infographics are shared more than three times as often as plain text. It should be no surprise that the surge in smartphone ownership has increased the percentage of mobile online searches. 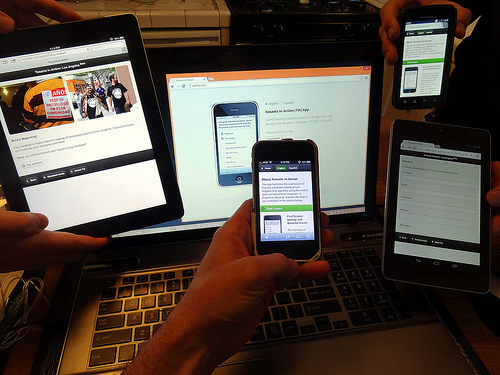 Studies suggest that by the end of the year, 80 percent of all internet searches will come from mobile devices. This means that you must create mobile-friendly content, including text, images, video, and audio, or you will lose a large volume of your potential audience. There is no getting around the importance of keywords when it comes to content marketing. Keywords are how search engines connect readers with relevant content. It is vital that you assess which keywords your target audience is most likely to search for and which keywords provide the best results. The increase in voice-command searches is having a significant impact on the value of specific keywords. 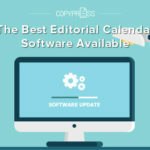 You must continuously track keyword ranking to determine the best keywords and keyword phrases to use for your content. Blogs posted with multiple spelling and grammar mistakes can diminish the value of your content in the eyes of the reader. 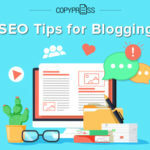 Even more alarming is the fact that many experts believe that search engines can, or will soon be able to, detect poorly written content, which could directly affect your SERP ranking. Either way, low-quality content can damage your brand reputation, cause the reader to think you maintain low standards, and break trust with your potential customers. Online users love easy-to-read content. 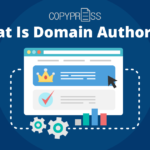 This doesn’t mean that you can’t use some technical jargon or that you shouldn’t provide intelligent content, but rather you should publish your content in an easy-to-view format. You want to make sure the reader can scan your content easily by using subheadings to break larger blocks of content into smaller parts. Include visual content that brings value to your blog post. Always test your content before publishing to make sure it displays properly on both a desktop computer and mobile device. This may seem apparent, yet many businesses still underestimate the value in a good call-to-action. Keep in mind that you do not have to be salesy or pushy to get your point across. A gentle coaxing that encourages the reader to take action can be just as effective as a lengthy sales pitch. For example, if you want to boost sales, you can encourage the reader to learn more or to contact your business; if you want to establish yourself as a thought leader, you can entice the reader to download an ebook or schedule a consultation; or if you want to boost engagement, you can ask the reader to share or comment on your blog post. It is important to realize that your content will remain online until you take it down. With this in mind, try to create evergreen content that will remain relevant to your audience no matter when they read it. If you must post content that is not evergreen, try to remove it as soon as it has served its purpose. 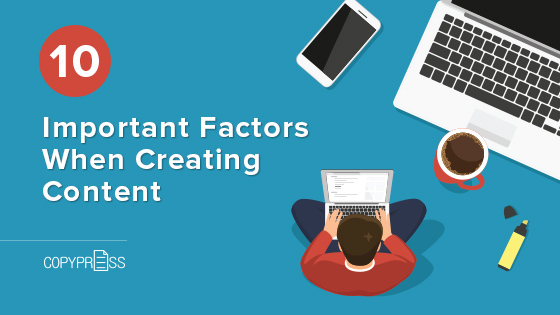 Keeping these factors in mind when creating content can improve reader engagement, boost SERP ranking, and help you meet your marketing goals. Learn more about how dynamic content creation can help take your business to the next level.